leave it to a small company with a small, fresh, and amazing product line to create such a fresh label for their products. we love jam is dedicated to bringing you the best, not only in jam, but also pickles and bbq sauce, biscotti, oh my. 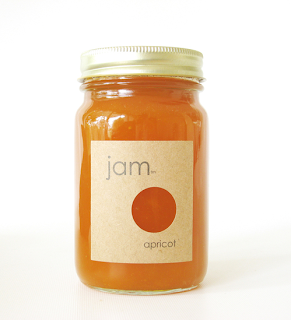 located in california and dedicated to saving the blenheim apricot, eric, designed the label himself. i have added my name to their mailing list and am really looking forward to the wonders such as mariposa plum jam and fukushu kumquat jam (i've never even heard of fukushu kumquats).